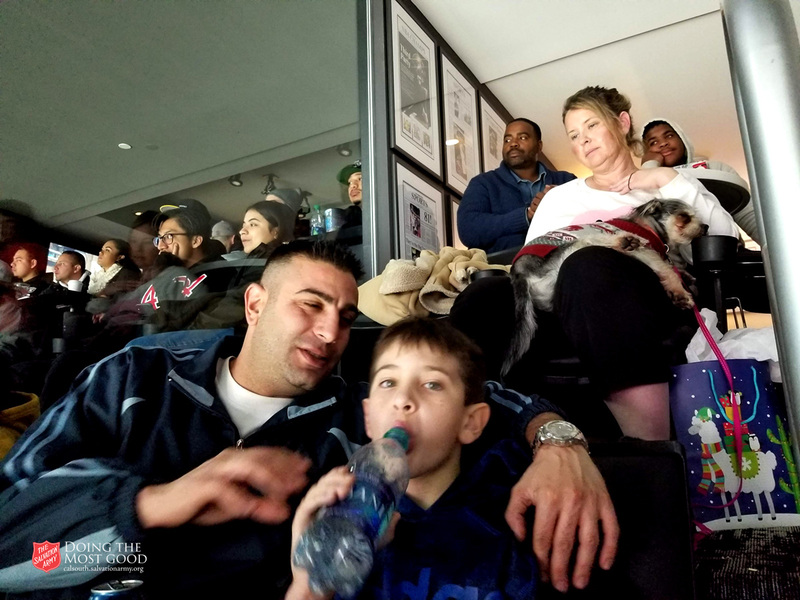 Three families connected through The Salvation Army were treated on Sunday to dinner, gifts & a suite. LOS ANGELES, CA. 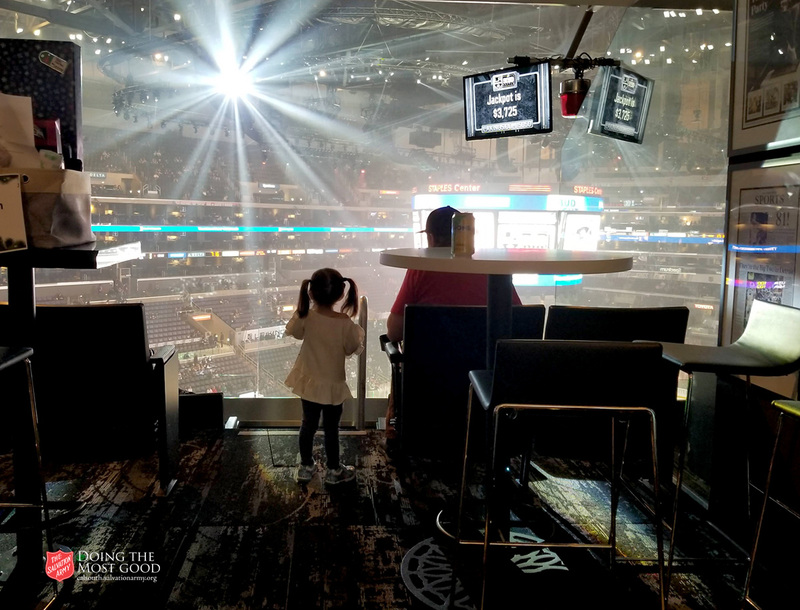 DECEMBER 2, 2018 — The L.A. Kings and The Salvation Army partnered on Sunday to give three families affected by the Southern California wildfires a sport's fans dream: a catered luxury suite at the Staples Center. 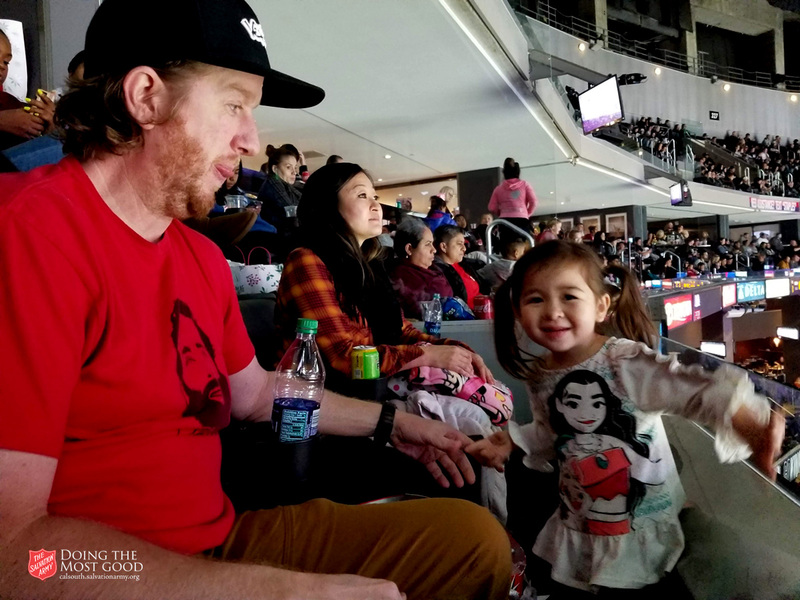 As the L.A. Kings took on the Carolina Hurricanes, three families were treated to a full holiday feast and some of the best seats in the house. 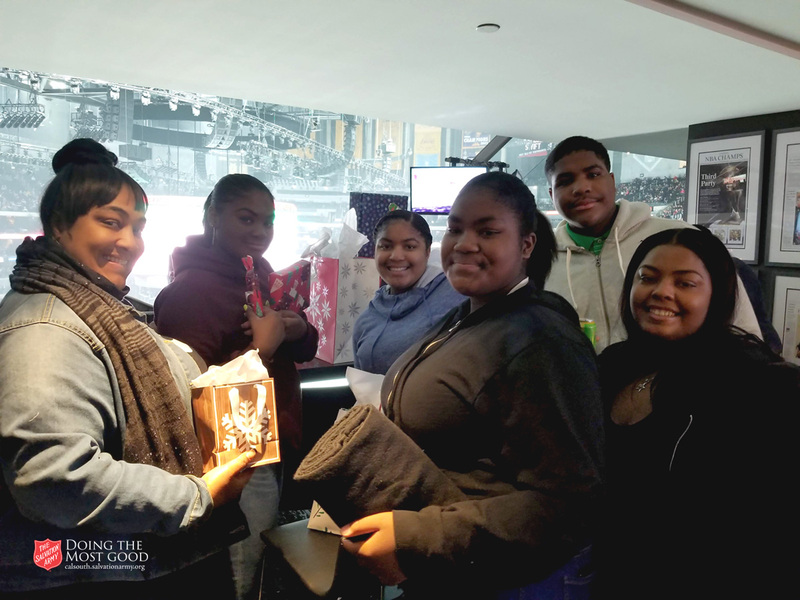 The Kings organization also prepared gift boxes for every member of the family, featuring toys for kids, brand new clothes and even small furniture items. The Salvation Army first connected with these families at Disaster Assistance Centers in wildfire-affected areas. 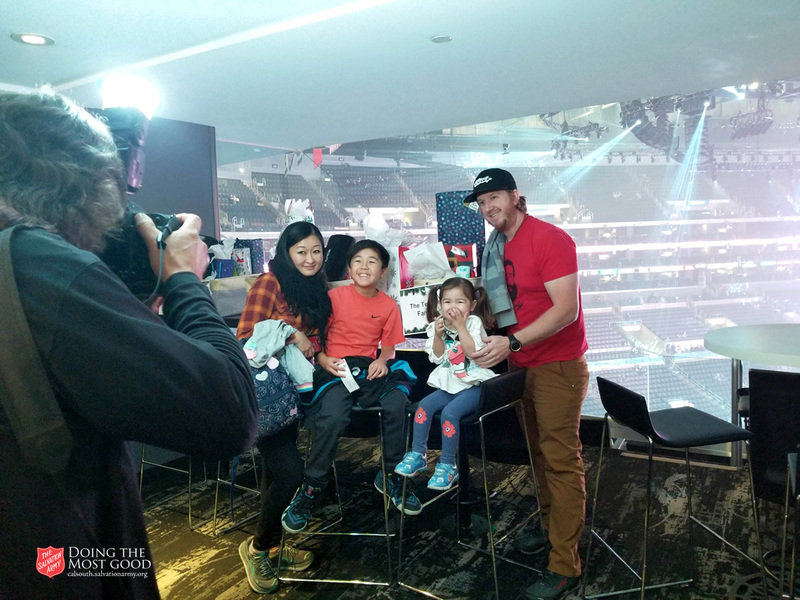 When the L.A. Kings reached out with this opportunity as part of their Adopt-A-Family program, The Salvation Army connected them to families in need. Each family has been dealing with the fallout of the Woolsey Fire, including total losses of homes. Although the fire is 100% contained, many are dealing with the long process of rebuilding. 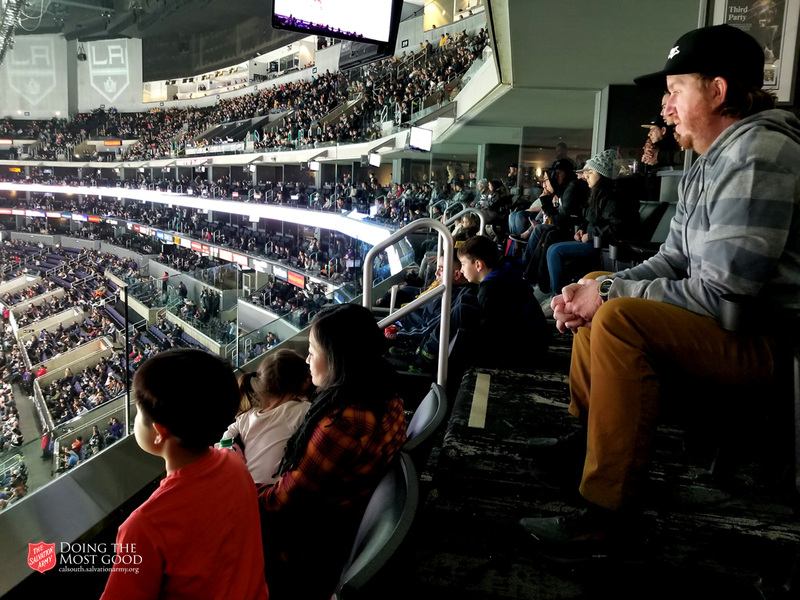 The Kings game gave some of the attendees their first night out since the fires, and a chance to unwind from the stress. 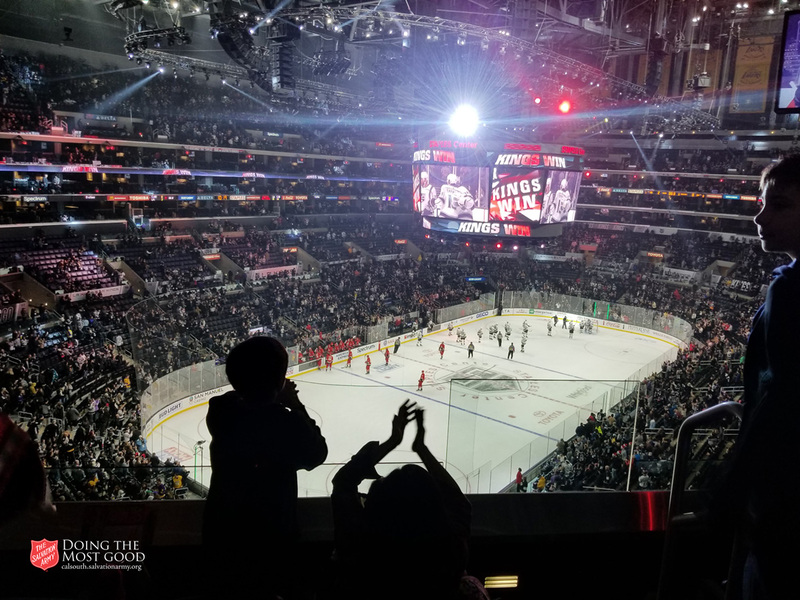 The Los Angeles Kings beat the Carolina Hurricanes 2-0 after scoring two goals in the last few minutes of the game.